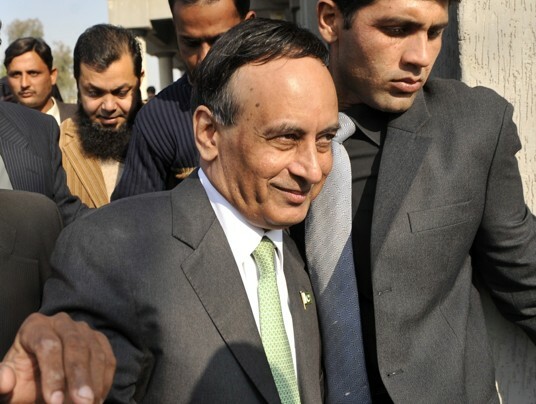 Husain Haqqani, Pakistan’s former ambassador to the United States, was permitted to travel abroad Monday by the nation’s Supreme Court after two months of fending off treason allegations over his purported involvement in a mysterious memo that sought Washington’s help to neuter Pakistan’s powerful military. The court ruling indicated that authorities seem to have lost interest in continuing to probe Haqqani’s role in the scandal, known here as Memogate, which at one point threatened to bring down the civilian leadership of this coup-prone country. Haqqani, a confidant of President Asif Ali Zardari, was forced to resign, recalled to Islamabad and ordered not to travel abroad after a Pakistani American tycoon, Mansoor Ijaz, alleged that the diplomat engineered an unsigned missive to the Pentagon hoping to block a coup in the turbulent days after the killing of Osama bin Laden. Haqqani denied involvement and said Ijaz, a onetime acquaintance, cooked up the memo. In an e-mail to Agence France-Presse, Haqqani said: “I am glad that the Supreme Court has restored my right to travel, which had been rescinded without any charges being filed against me.” He added that he planned to join his family in the United States. Memogate prompted a showdown between the army and the civilian leadership, which technically oversees the military, and brought an already shaky government to the verge of collapse. The fissures between the two sides now seem to have been repaired, and the incessant political and media interest in the scandal has waned in recent days. One reason seemed to be the dwindling credibility of Ijaz, who has yet to appear to testify about his role in the memo, saying he fears for his safety. The bulk of evidence has come from Ijaz, who released logs of what he says are BlackBerry message conversations between him and Haqqani. Since his return to Islamabad, Haqqani has stayed within the walls of the official government residence, saying he feared for his life. Earlier this month, U.S. Sens. John McCain (R-Ariz.), Mark Kirk (R-Ill.) and Joseph I. Lieberman (I-Conn.) issued a statement condemning the “harassment” of Haqqani, a former journalist and Boston University professor. They called him a “principled advocate” for Pakistan. Despite allowing the erstwhile diplomat to travel, the Supreme Court did not drop the matter entirely: It granted a two-month extension to the judicial commission that is probing Memogate. And Haqqani’s lawyer had to guarantee that the former envoy would appear before the court if called, on four days’ notice. A separate parliamentary investigation is also underway.